In December of 2013, I had just moved to Kirkland and was looking for a job. I didn’t have all that many expectations, I just needed money to afford the apartment that allowed me to sign the very first lease of my life. Through the grapevine, I found out that a local coffee shop was expanding, so I shot the owner an email, inquiring about a possible job opportunity. I didn’t know much about coffee, except that I loved it. And my last job was at a doughnut shop, so the idea of coming home smelling like coffee and not doughnuts was enough to spark my interest. Evidently, I was also enough to spark theirs. Come January, I was thrust into the world of coffee, surrounded by people with not only the knowledge to train me, but the passion to infinitely expand my love for the industry. It’s been a year and a half of overwhelmingly wonderful coffee education. Consequently, it’s been surprisingly refreshing to be educated outside of a classroom after a lifetime of schooling. Though I have learned so much, I have a long way to go. As much as I would love to consistently write about coffee, I probably won’t just yet. However, coffee infiltrates every aspect of my life. Whether it be what fuels me and allows me to sit through eleven straight hours of classes, or its covering my outfit after a long day at the shop, coffee is everywhere. 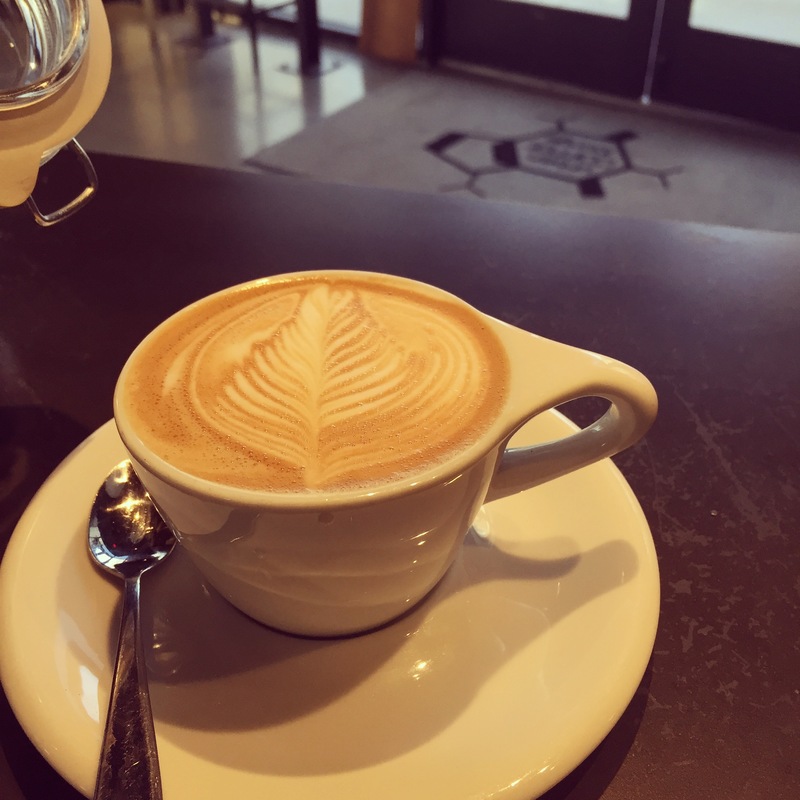 For now, you can expect coffee stains, caffeine-fueled posts, and images of my favorite pours–like the rosetta featured here–every now and again. Until next time, my caffeinated friends.